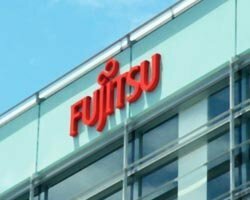 Fujitsu UK & Ireland has landed three new private sector deals worth a total of £200m, the company's CEO told Computer Weekly in an exclusive interview. CEO Roger Gilbert said the three contracts were for a desktop management programme, a global support and logistics programme and mix of back office and shop floor systems for a major retailer. Gilbert declined to name the customers, saying they had not yet given permission for their names to be released. All three deals came in the past quarter. "This is not something I would have predicted six months ago," Gilbert said. He said there was a flurry of activity in the private sector after very depressed sales for nearly 30 months. Much of the activity appeared to be driven by mergers and acquisitions, as well as by demergers and "disaggregations", he said. Gilbert said the level of orders from the private sector had trebled in the first quarter of 2010. "Looking at the future pipeline [of orders], I think it will be reasonably stable for the next year or two," he said. The timing is fortunate. Suppliers such as Fujitsu, which gets 60% of its £1.8bn-a-year sales from government, face demands to help the government cut 20% from its £7.5bn-a-year IT spend. The private sector deals will help Gilbert to rebalance the company's profile. "Public and private sector customers would both benefit if its ratio was 50/50," he said. Three new deals worth £200m in three months may not seem much, but after the sales drought of the past two and half years, it must seem like manna from heaven for Fujitsu. But is this the turnaround that UK IT industry has been waiting for? See here for the answer.